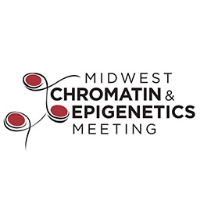 The 2016 Midwest Chromatin and Epigenetics Meeting (MCEM) brings together more than 200 scientists from the American Midwest who study transcription, chromatin and epigenetics. 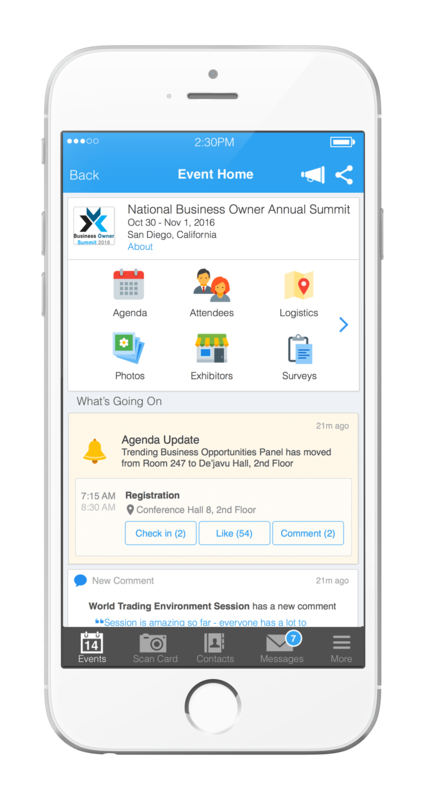 The meeting provides an excellent opportunity to share scientific insight, foster the exchange of new ideas and to enhance collaboration. The meeting with feature a keynote address by Robert Kingston, Ph.D., chief of the Department of Molecular Biology at Massachusetts General Hospital and vice chair of the Department of Genetics at Harvard Medical School. In addition to his address, the meeting will feature talks from more than 30 recognized experts in chromatin and epigenetics research, a poster session, four talks selected from submitted poster abstracts, and social events. 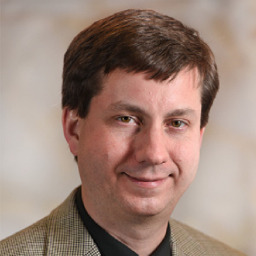 Bio: Adam Karpf is an Associate Professor at the Eppley Institute and Member and Program Director of Epigenetics Research at the Fred & Pamela Buffett Cancer Center, University of Nebraska Medical Center. He holds a B.S. in Biology from the University of South Florida, and a Ph.D. in Virology from University of Texas at Austin. He completed postdoctoral training with Dr. David Jones at the Huntsman Cancer Institute, University of Utah. His current research interests focus on the role of DNA hypomethylation in epithelial ovarian cancer, and on designing therapeutic interventions for cancer involving DNA methyltransferase inhibitors. Bio: Dr. Ruthenburg is a Neubauer Family Assistant Professor in the Departments of Molecular Genetics and Cell Biology as well as Biochemistry and Molecular Biology at the University of Chicago. Dr. Ruthenburg received his B.A. at Carleton College, performed his Ph.D. in chemical biology at Harvard University under the tutelage of Dr. Gregory Verdine, and received post-doctoral training in chromatin biochemistry the lab of Dr. C. David Allis at the Rockefeller University. After pioneering work examining multivalency in the read-out of the histone code, his lab has developed semisynthetic nucleosome technology for the calibration of ChIP experiments (ICeChIP) as well biochemical discovery of pathways that regulate chromatin structure and function. Dr. Ruthenburg is the recipient of the Chicago Biomedical Consortium Junior Investigator and Ellison Medical Foundation Junior Scholar in Aging Awards. Bio: Dr. Ali Shilatifard is a biochemist/molecular biologist with an immense interest in understanding the molecular mechanism of the regulation of gene expression. As a Jane Coffin Childs postdoctoral fellow, Shilatifard made a seminal contribution to the field of leukemia biology by identifying the first function of any of the MLL translocation partners. Shilatifard identified ELL as a RNA Polymerase II (Pol II) elongation factor. Since its inception in 1997, the central theme in the Shilatifard laboratory has been the identification of the molecular properties of both MLL and ELL and why their translocations result in leukemogenesis. ELL is the first and best molecularly and biochemically characterized MLL partner in leukemia. In addition to his studies on ELL, within the past 15 years, Shilatifard’s laboratory identified the yeast homologue of MLL, the Set1 protein in a complex named COMPASS, capable of methylating histone H3K4. Based on these fundamental yeast studies, we now know that MLL is also found in a COMPASS-like complex functioning as an H3K4 methylase. Shilatifard’s laboratory also identified and demonstrated that many of the MLL partners in leukemia are found with ELL within the Super Elongation Complex (SEC) regulating the transcription of the MLL-chimera target genes. Most recently, Shilatifard’s laboratory has demonstrated that Pol II elongation factors play a diverse role in regulating gene expression including the marking of both poised and inactive enhancers in the embryonic state and in the priming of future developmental gene expression patterns. Dr. Shilatifard has been recognized and funded by the Leukemia and Lymphoma Society, the American Cancer Society, and through three grants from the National Institutes of Health, and recently was selected as the inaugural recipient of the Outstanding Investigator Award from the National Cancer Institute. He serves as a Senior Editor for the journal Science, a Deputy Editor for Science Advances, Editor for Molecular and Cellular Biology, and also serves on the Scientific Advisory Boards of Genentech, the Max Planck Society, and Cell Signaling Technology. Bio: Dr. Veiga-Lopez received her DVM and Ph.D. from the Complutense University (Spain) and pursued her postdoctoral studies at the University of Michigan. 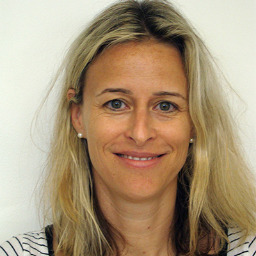 As a postdoctoral fellow, she was awarded with the Endocrine Scholars Award and the Women in Endocrinology Young Investigator Award, both from the Endocrine Society for her work in the developmental origins of the polycystic ovary syndrome, one of the most common infertility disorders in reproductive-aged women. She recently joined the Department of Animal Sciences at Michigan State University as an assistant professor where she continues to investigate the fetal origins of adult reproductive and metabolic disorders. Her laboratory is specifically interested in how environmental exposures, particularly during prenatal life, can lead to pathophysiological consequences during postnatal life. 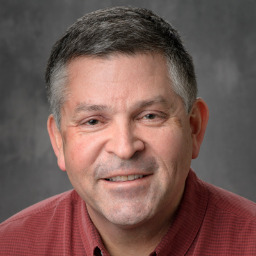 Bio: Dr. Kirchmaier worked in Biotechnology at the Upjohn Company in Kalamazoo, MI before joining Bill Sugden’s laboratory in the McArdle Laboratory for Cancer Research at the University of Wisconsin-Madison. There, she received her Ph.D. in Oncology for her research on latent replication of the human tumor virus Epstein-Barr Virus. 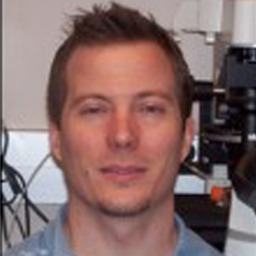 Dr. Kirchmaier then trained as a post-doctoral fellow in silencing in Saccharomyces cerevisiae with Jasper Rine at the University of California-Berkeley. 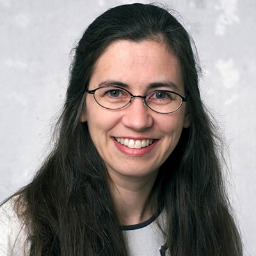 In 2002, Dr. Kirchmaier joined Purdue University and her lab now studies epigenetic processes and the relationship between chromatin modifications, gene regulation, DNA replication and repair. Her group also explores the impact of environmental, dietary and metabolic factors on chromatin composition and stability. Bio: Dr. Alexanian is a Founder and Chief Scientific Officer of Cell Reprogramming & Therapeutics LLC and also holds an Adjunct Associate Professor position in the Department of Medicine at the Medical College of Wisconsin (MCW). 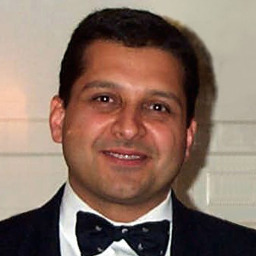 Dr Alexanian held Faculty positions in the Departments Cell Biology, Neurobiology and Anatomy as well as Neurosurgery at the MCW (2000-2013) and in the Departments of Anatomy and Neurobiology as well as Biochemistry and Molecular Biology, at the Colorado State University (1997-2000). He received training at universities and centers worldwide such as Pasteur Institute and University of Montpelier in France, University of Saarland in Germany, Institute of Biochemistry in Moscow, Russia, Colorado State University in Colorado, WiCell Research Institute in Madison, WI, and at the W.M. Keck Center for Collaborative Neuroscience in Piscataway, NJ. He has an extensive experience in the fields of biochemistry, molecular biology, cell biology, stem cell biology, and neurosciences and has been conducting research in neural plasticity and regeneration for the past twenty years. The results of these studies were presented in numerous professional meetings and published in several peer-reviewed journals in the fields of cell biology, stem cell biology, neurobiology, and regenerative medicine. Dr. Alexanian has an impressive record of external funding, including governmental grants such as NIH and Veterans Affairs, as well as other organizations such as Spinal Cord Society, Quadracci, Bryon Riesch Paralysis Foundation, AOSpine North America and International, Hansjorg Wyss and others. Recently, he has been awarded NIH SBIR grant. Dr Alexanian recent discoveries have been protected under utility patent (USA/International). The main focus of his current research is the epigenetic regulation of cell fate commitment, differentiation and small molecule-based approaches for cell reprogramming, and development of new therapies for neurotraumatic and neurodegenerative diseases and brain tumors. Bio: Dan Rappolee was a Regent’s fellow at UCSB where he completed his Bachelor’s degree, completed his Ph.D in 1989 as Regent’s fellow at UCSF, and did postdoctoral work at UCSF. 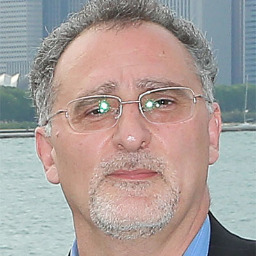 He moved to Northwestern University Medical School in 1992 as junior faculty and Markey Fellow in Developmental Biology. He has been on faculty at Wayne State University Medical School since 2000. He has been on the editorial boards of Reproduction, Molecular Reproduction and Development, and Fertility and Sterility. He has trained numerous students and post docs and has had several NIH, AHA, and NASA grants. He has served on Study sections at AHA, NASA, and NIH. He has >60 peer-reviewed publication and >30 papers and book chapters on the impact of stress and stress enzymes on stems cells and embryos during early mammalian development. A key focus of Dr Rappolee’s lab is the enzymatic intracellular mechanisms of stress-forced transcription factor changes, despite conditions that should maintain potency/stemness and proliferation. These mechanisms lead to stress-induced global irreversible depletion of embryonic and placental stem cells by forcing diminished proliferation, potency loss and differentiation. Bio: Elizabeth Porter received her B.S. in biochemistry from Calvin College in Grand Rapids, MI. She is currently a third year P.h.D candidate in the Interdisciplinary Life Sciences Program at Purdue University. Her research in Emily Dykhuizen’s laboratory focuses on determining the function of the bromodomains of Polybromo 1 and how mutations in the bromodomains contributes to renal clear cell carcinoma. She is also working on a collaborative project examining Polybromo 1 in breast cancer and how it regulates epithelial-mesenchymal transition and metastasis. Bio: Dr. Heather M. O’Hagan earned a B.S. in biology from the College of William and Mary and a Ph.D. in cellular and molecular biology from the University of Michigan. Her doctoral research under the mentorship of Dr. Mats Ljungman focused on mechanisms of activation of the tumor suppressor gene p53 after DNA damage and the inhibition of transcription. Dr. O’Hagan completed her postdoctoral training in the laboratory of Dr. Stephen Baylin at the Johns Hopkins University where she researched DNA damage-induced epigenetic alterations and how the epigenetic silencing of key genes contributes to carcinogenesis. In 2013, Dr. O’Hagan joined the Indiana University School of Medicine as an assistant professor in the Department of Medical and Molecular Genetics and the Medical Sciences Program. Her current NIEHS funded research focuses on the roles inflammation and the associated oxidative DNA damage play in initiating epigenetic changes during tumorigenesis. The long-term goal of her group is to gain a better understanding of the mechanism and molecular progression of inflammation-induced epigenetic alterations to develop treatments that reverse these epigenetic changes after exposure and therefore reduce disease formation. Bio: Dr. Shen received her B.Sc. in biology from Nanjing University and her Ph.D. in genetic, molecular, and cellular biology from the University of Southern California (USC). She was appointed as a research associate at the USC’s Epigenome Center in 2013. 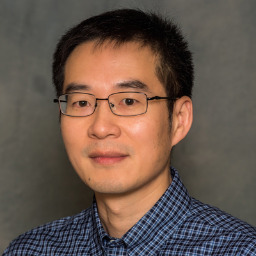 Dr. Shen is part of The Cancer Genome Atlas team, a multi-institutional effort to better understand the molecular basis of cancer through genomic analysis. She joined Van Andel Research Institute in September 2014 as an assistant professor. Bio: Dr. Gowher received her M.Sc. in Biochemistry from AMU, India and PhD in Life Sciences from Justus Liebig University, Germany. 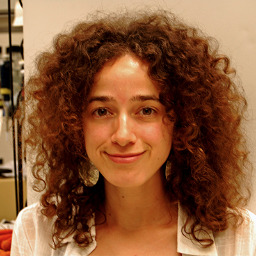 She moved to NIH, Maryland for postdoctoral training in chromatin biology with Dr. Gary Felsenfeld and studied role of insulator proteins in regulation of DNA methylation. 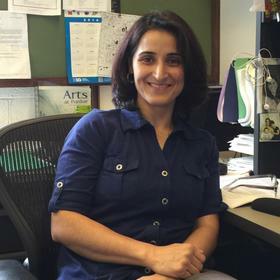 She joined the faculty of the Department of Biochemistry at Purdue University, West Lafayette, IN in 2013 and the research emphasis of her lab on role and regulation of DNA methyltransferases in cellular differentiation. The current focus of the Gowher laboratory is to understand how DNA methyltransferases efficiently use their reader and writer domains to coordinate their activity with other chromatin modifiers at specific locations in response to the environmental signals including those of cellular differentiation. Our recent data show that during embryonic stem cell differentiation, DNA methylation at the enhancers of pluripotency genes by Dnmt3a is regulated by the upstream activity of Lsd1-Mi2/NuRD complex. Bio: Ivana de la Serna attended Cornell University and graduated with a B.S. in 1984. After working for several years she attended graduate school at the University of California, Davis. 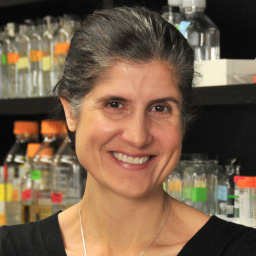 Dr. de la Serna performed her doctoral studies on the transcriptional regulation of ribosomal gene expression in Neurospora crassa under the guidance of Dr. Brett M. Tyler and obtained a Ph.D. in 1998. From there she went on to the University of Massachusetts College of Medicine for postdoctoral training where she worked with Dr. Anthony Imbalzano. It was at the University of Massachusetts that she began her studies on the SWI/SNF chromatin remodeling complex in muscle differentiation. In 2005, Dr. de la Serna joined the faculty of the Department of Biochemistry and Cancer Biology at the University of Toledo, College of Medicine (formerly the Medical College of Ohio). There she focused her research on chromatin remodeling in melanocyte differentiation and the deregulation of gene expression in melanoma. Bio: Dr. Knott received his B.S. in animal science from the University of Massachusetts (UMASS), Amherst. He completed his Ph.D. studies at UMASS in the laboratory of cloning pioneer Dr. James Robl. Following his graduate studies he performed postdoctoral research in the molecular embryology laboratory of Dr. Richard Schultz at University of Pennsylvania. Dr. Knott has been at Michigan State University since 2007. His laboratory is funded by the National Institutes of Health. Research in the Knott lab is focused on elucidating transcriptional and chromatin-based mechanisms that govern early lineage formation in preimplantation embryos. Mouse embryonic stem (ES) cells and trophoblast stem cells are used as in vitro models for the inner cell mass (ICM) and trophoblast lineages, respectively. Current projects are investigating the role of brahma-related gene 1 (BRG1) and transcription factor AP-2 gamma (TFAP2C) in trophoblast lineage specification and ES cell pluripotency. Dr. Knott’s lab has identified novel and critical roles for BRG1 and TFAP2C in cell polarity, HIPPO signaling, trophoblast specification, and pluripotency gene regulation. This research has been published in Stem Cells, Development, and Molecular Cellular Biology. Notable achievements include publishing the first genome-wide ChIP on Chip dataset on BRG1 binding in ES cells. Bio: Dr. Jin He completed his medical degree in China and received his Ph.D. from University of Florida. After graduation, he conducted his postdoctoral training in Dr. Yi Zhang’s lab at University of North Carolina at Chapel Hill and Harvard Medical School. He joined the Department of Biochemistry and Molecular Biology at Michigan State University as an Assistant Professor in 2015. His lab is interested in various epigenetic modifications, particular covalent histone modifications, in regulating gene expression and their function in stem cell maintenance, cell lineage specification, and tumorigenesis. His lab uses biochemistry, molecular biology, and animal models to address these questions and aims to identify new therapeutic targets to prevent and treat cancers. 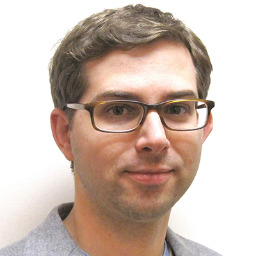 Bio: Dr. Ogas did his graduate work in the laboratory of Ira Herskowitz at UCSF where he identified and characterized regulators of the cell cycle in budding yeast. He then did his postdoctoral research in the laboratory of Chris Somerville at the Carnegie Institution Department of Plant Biology at Stanford where he investigated how developmental identity is determined in Arabidopsis. His lab primarily investigates the role of CHD ATP-dependent chromatin remodelers in tissue-specific gene expression and determination of developmental identity in plants and animals using Arabidopsis and zebrafish as model systems. One of the remodelers under investigation, CHD5, plays an important role as a tumor suppressor in mammalian systems. Bio: Jonathan D. Licht, MD, is the Director of the University of Florida Health Cancer Center, holding the Marshall E. Rinker, Sr. Foundation and David B. and Leighan R. Rinker Chair. 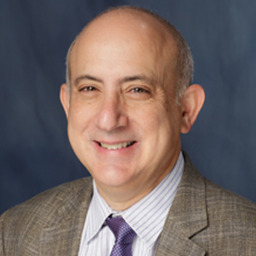 Previously Dr. Licht was Chief of Hematology/Oncology at Northwestern University and an Associate Director of the Robert H. Lurie Comprehensive Cancer Center. Dr. Licht’s laboratory studies aberrant gene regulation, specifically the role of abnormal function of histone methyl transferases and histone demethyalses in diseases such as multiple myeloma and is developing small molecule strategies to normalize gene regulation and treat disease. NCI funded for nearly 25 years, Dr. Licht is also Principal Investigator of a Leukemia and Lymphoma Society Specialized Center and a Multiple Myeloma Research Foundation program grant both in epigenetics. He is an investigator in the Dana-Farber SPORE in myeloma and co-leader in a NCI-funded Chicago Physical Sciences Oncology Center. Dr. Licht is a Senior Editor of Clinical Cancer Research and serves on the editorial boards of Oncogene and Cancer Cell. Dr. Licht is a member of the executive committee of the American Society of Hematology, and will be co-director of the 2017 ASH/EHA Translational Research Training program. Additionally he sits on the Medical/Scientific Board of the LLS and is a member of the Basic Mechanisms of Cancer Therapeutics Study Section. Dr. Licht has published nearly 170 original articles, reviews and book chapters and his work has been cited over 11,000 times. Dr. Licht has mentored over 40 graduate students and postdoctoral fellows and 20 faculty members. Bio: Dr. Keith Robertson earned his Bachelor’s degree at Cornell University and his Ph.D. at Johns Hopkins University. He did postdoctoral training with Dr. Peter Jones at the University of Southern California and with Dr. Alan Wolffe at the National Institutes of Health. His first faculty position was within the intramural program at the NIH, followed by the University of Florida. He is currently a Professor of Molecular Pharmacology and Experimental Therapeutics at the Mayo Clinic. 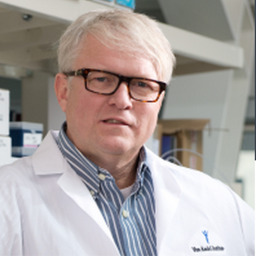 Dr. Robertson has published over 80 manuscripts in the area of cancer epigenetics and his laboratory has been continuously funded by the NIH since 2000. The laboratory focuses on basic and translational research related to determining how epigenetic marks, especially DNA methylation and hydroxymethylation, are established and maintained in normal cells, and how these marks become disrupted in and lead to common human diseases such as cancer, diabetes, cardiovascular disease, and neurologic disorders. Bio: Linheng Li is best known for using combined genomics and genetics to study stem cells and their associated niches in hematopoietic and intestinal tissues. He was among the first to identify the endosteal (osteoblastic lining cell) niche in supporting hematopoietic stem cell (HSC), the first cellular component of niche identified in a mammalian system. Based on the study of different HSC subpopulations, he was also among the first to propose a model of co-existing quiescent (as a reserve pool) and active (primed for action) adult stem cells in the same tissue in mammals. This concept not only provides an explanation for controversial observations of both quiescent and cycling stem cells in mammals, but also accounts for some aspects of drug resistance in cancer. 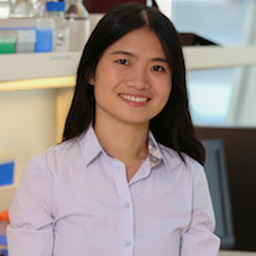 Linheng has contributed to the field by characterizing and demonstrating the roles of several developmental signaling pathways in regulation of stem cells. These include: the reciprocal (yin and yang) roles of BMP and Wnt signaling affecting self-renewal; the roles of PTEN in controlling quiescence by inhibiting PI3K-Akt signaling, and in distinguishing normal stem cells from cancer stem cells; the role of PI3K-Akt in coordinating with Wnt-b-catenin to promote HSC self-renewal in vivo and expansion in vitro; and, the role of non-canonical Wnt signaling in maintaining quiescent stem cells. His recent work shows a critical role of epigenetic (via DNA methylation and non-coding RNA) regulation of H19-Igf2 imprinted locus in controlling quiescent versus active states of HSCs, as well as Gtl2 in maintaining primitive stem cells via suppression of mitochondrial biogenesis and metabolism. Bio: Dr. Pile received her B.Sc. in biology from the University of Toledo, Ohio. She conducted Ph.D. research in molecular genetics, biochemistry and microbiology at the University of Cincinnati Medical School, Ohio. She conducted postdoctoral research at the National Institutes of Health in Bethesda, Maryland. 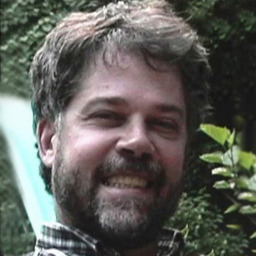 Dr. Pile has been in the Department of Biological Sciences at WSU in Detroit, MI since 2004. The focus of the research in the Pile laboratory is to understand how genes are turned on and off in different cell types. Members of the laboratory utilize biochemical and genetic approaches available with the Drosophila model system to define mechanisms of regulated gene expression. Current research focus is directed toward understanding how the SIN3 histone modifying complex functions to repress transcription at the epigenetic level. 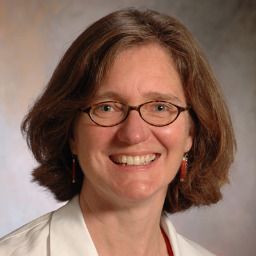 Bio: Lori L. Wallrath, Ph.D., is professor and vice chair of the Department of Biochemistry at the University of Iowa, Carver College of Medicine, Iowa City, Iowa. She directs an internationally recognized research program on the epigenetic control of gene expression and nuclear organization in human disease. Her current investigations are focused on the dysregulation of gene expression in muscular dystrophy and breast cancer metastasis. Her research has been supported by agencies such as the National Institutes of Health, the Muscular Dystrophy Association and the American Heart Association. Professor Wallrath’s long track record in the field of gene regulation started with her Ph.D. training in genetics at Michigan State University, followed by postdoctoral training at Washington University in St. Louis. As a professor at the University of Iowa, she has taught undergraduate and graduate courses in biochemistry and molecular biology, winning the prestigious 2010-11 Collegiate Teaching Award. In addition, she has organized many scientific conferences, including several in the Midwest, with a goal of uniting regional scientists for collaborative interdisciplinary projects. Bio: Dr. Godley developed her deep respect for science through her work in the laboratories of Drs. Sally and Vincent Marchesi at Yale University, with Dr. Don Wiley as a Harvard undergraduate, and during the graduate portion of her MSTP program, conducted under Dr. Harold Varmus at the University of California, San Francisco and the National Institutes of Health. She completed her medical training at Northwestern University followed by Internal Medicine/Hematology-Oncology training at The University of Chicago. During her postdoctoral research with Dr. Michelle Le Beau, Dr. Godley developed her interest in the molecular basis for the abnormal DNA methylation patterns that characterize human tumors. Currently, the Godley Laboratory is focused on understanding the functional differences between 5-methyl- and 5-hydroxymethylcytosine (5-hmC) and how 5-hmC helps direct cancer cell differentiation. As a physician-scientist with both research and clinical responsibilities, Dr. Godley seeks to understand disease on a molecular basis and brings that perspective to the care of her patients. A translational research interest that has developed through Dr. Godley’s direct interactions with patients with hematopoietic malignancies is the study of germline predisposition to bone marrow-derived malignancies, a phenomenon increasingly recognized within hematology. Bio: Dr. Figueroa was born in Buenos Aires, Argentina. She received her M.D. from Universidad del Salvador, School of Medicine in Buenos Aires, Argentina in 1997 and after completing her internal medicine residency (1997-2000), she went on to train as a hematologist at the Institute for Hematological Research “Mariano Castex” from the National Academy of Medicine in Buenos Aires, where she later joined the Malignant Hematology Department. In 2004, Dr. Figueroa joined Dr. Ari Melnick’s laboratory at the Albert Einstein College of Medicine in New York, and later at Weill Cornell Medical College. During her postdoctoral training with Dr. Melnick, Dr. Figueroa’s research focused on the characterization of epigenetic deregulation in myeloid malignancies, particularly acute myeloid leukemia and myelodysplastic syndromes. She has been the recipient of scholar awards from the SASS Foundation for Cancer Research, the American Society of Hematology, the Leukemia and Lymphoma Society and the Doris Duke Charitable Foundation, as well as being the recipient of a University of Michigan Biological Sciences Scholar Award. 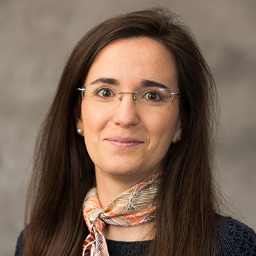 Dr. Figueroa joined the Department of Pathology at the University of Michigan Medical School in June 2011 as assistant professor, where she continues her work in the field of epigenetic regulation of normal and malignant hematopoiesis. Bio: Dr. Floer received her Ph.D. in biochemistry from Rockefeller University, where she studied nuclear protein transport under the guidance of Dr. Günter Blobel. For her postdoctoral studies she joined the lab of Dr. Mark Ptashne at Sloan Kettering Institute to study the effects of chromatin on gene expression in yeast. She has been an Assistant Professor in the Department of Biochemistry and Molecular Biology at Michigan State University since 2011. In 2015 she received the Early Promise of Research Excellence Award from the College of Osteopathic Medicine. The focus of the Floer lab is to understand how chromatin shapes cell-type specific gene expression in mouse immune cells. The lab uses a quantitative approach to analyze nucleosome occupancy at gene regulatory regions to decipher how cell-type specific genes are rendered accessible during differentiation to allow their expression in mature cells. Bio: The Scacheri lab leverages the known role of gene enhancer elements in defining cell state to gain new insight into human development and the aberrant cellular states that drive human disease and cancer. His lab utilizes cutting edge genomic technologies for this work and is continually developing and applying new computational approaches to utilize these data to inform our understanding of biology. 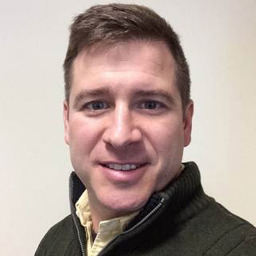 Scacheri earned his undergraduate degree in biology from Gettysburg College and his Ph.D. in biochemistry and molecular genetics from the University of Pittsburgh. His postdoctoral fellowship was in the lab of Francis Collins at the National Human Genome Research Institute, where he was awarded the Institute’s highest honor for scientific achievement for a postdoc. 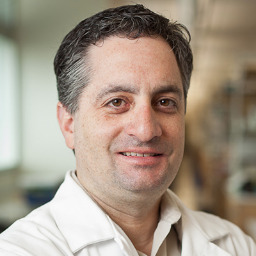 In 2006 Scacheri joined the School of Medicine faculty at Case Western Reserve University and is currently an Associate Professor in the Department of Genetics and Genome Sciences. He is also a member of the Case Comprehensive Cancer Center and holds a secondary appointment in the Department of Stem Cell Biology and Regenerative Medicine at the Cleveland Clinic. He has been awarded multiple NIH grants and he has published more than 50 papers on a broad variety of topics related to genetics, genomics, and bioinformatics. 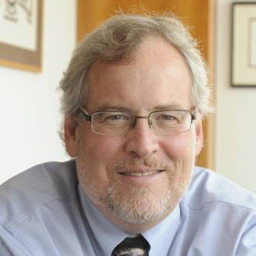 Bio: Dr. Robert Kingston is the Chief of the Department of Molecular Biology at Massachusetts General Hospital, the Vice Chair of the Department of Genetics at Harvard Medical School, and an Associate Member of the Broad Institute. He is also the Co-Chair of the MGH Research Institute Advisory Council and Past Chair of the Executive Committee on Research at Massachusetts General Hospital. Dr. Kingston began working on bacterial transcription mechanism in 1977 as a student with Dr. Michael Chamberlin. He received his Ph.D. from the University of California at Berkeley in 1981 for work on understanding the regulation of rRNA synthesis. He trained as a Jane Coffin Childs Fellow with Dr. Philip Sharp at MIT, where he switched to studying transcriptional regulatory mechanisms in humans. Dr. Kingston joined the Department of Molecular Biology at MGH and the Department of Genetics at Harvard Medical School in 1985 as an Assistant Professor of Genetics. He became a Professor of Genetics in 1995. His work over the past twenty years has focused on understanding the regulation of chromatin structure and how that impacts gene regulation in mammals, with a focus on the epigenetic mechanisms that maintain gene expression states during development. Dr. Kingston is the former Head of the Biological and Biomedical Sciences (BBS) graduate program at Harvard Medical School. He has organized numerous international conferences on transcription and on epigenetics and chromatin structure and function. He serves on several editorial boards, is a founding Editor of Current Protocols in Molecular Biology, and has served as an Editor at the journal Molecular and Cellular Biology. Bio: Dr. Pique-Regi completed his B.Sc./M.Sc. in Telecommunications Engineering in BarcelonaTech, Barcelona, in 2003. His Ph.D. research, supported by La Caixa Fellowship program, focused on sparse signal processing techniques for genomics at the University of Southern California, Los Angeles, CA. In 2009, supported by the Chicago Fellows program, he joined as postdoctoral researcher the Department of Human Genetics at the University of Chicago, IL. Since 2012, he joined as faculty the Center for Molecular Medicine and Genetics, at Wayne State University, MI. 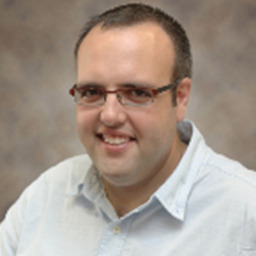 His research, supported by the National Institutes of Health, focuses on developing novel computational methods for understanding gene regulation and the impact genetic variation on gene transcription and chromatin accessibility. He has developed many popular computational methods and statistical models (such as CENTIPEDE, QuASAR and GADA) that integrate and analyze large datasets from functional genomics experiments. 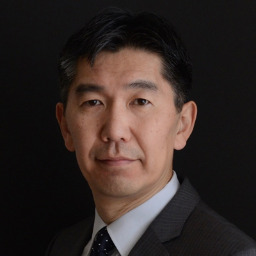 Bio: Dr. Koide is a professor in the Department of Biochemistry and Molecular Biology and a member of the Comprehensive Cancer Center at the University of Chicago. Dr. Koide is best known for his work in the development of “monobodies,” designer binding proteins with antibody-like properties and for his innovative approach in integrating rational design and molecular evolution technologies for the design and engineering of protein recognition interfaces. His group applies synthetic binding proteins as uniquely powerful tools to study epigenetic regulation and cell signaling. Recently, his group has developed the first set of high-performance recombinant antibodies for histone lysine methylation, important tools that help overcome the “antibody bottleneck” in epigenetic research. Dr. Koide received his B.S. and Ph.D. from the University of Tokyo. After his Human Frontier Science Program postdoctoral fellowship at the Scripps Research Institute under Dr. P. E. Wright, he started his independent career at the University of Rochester Medical Center before moving to the University of Chicago. He is a fellow of the American Association for the Advancement of Science and a scientific co-director of the Chicago Biomedical Consortium. Bio: Dr. Jovinge received his M.D. (1991) and his Ph.D. (1997) from the Karolinska Institute, Stockholm, Sweden. He has over 20 years of experience in the field of cardiovascular research. The focus of his research is on the identification of cardiac progenitors, to follow their fate and investigate their therapeutic potential for cardiac diseases. In line of finding new therapies for heart disease in inflammatory mechanisms in plaque rupture and myocardial inflammation are investigated. 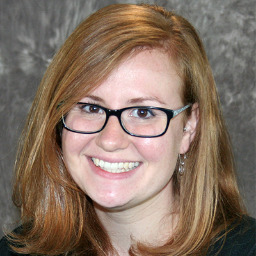 Bio: Tami is a graduate student in the lab of Dr. David Bisaro at The Ohio State University in Columbus, OH. She is in the Interdisciplinary Ph.D. program Molecular, Cellular and Developmental Biology. Her work focuses on characterizing the impact of de novo viral chromatin formation on the plant DNA virus family, Geminiviridae, within the plant model organism Arabidopsis thaliana. Her project has focused specifically on the effect of histone “reader” proteins that recognize post-translational modifications of histones. Bio: Dr. Weake conducted her graduate studies in New Zealand before moving to the Stowers Institute in Kansas City for postdoctoral training with Dr. Jerry Workman. Since joining the faculty in the Purdue Biochemistry Department in 2012, her research has focused on characterizing the epigenetic modifications that are associated with, and may directly contribute to degenerative changes associated with aging in neurons, using Drosophila photoreceptors as a model system. In addition, her laboratory has a strong interest in epigenetic regulators that affect histone acetylation and deubiquitination in cancer. She uses a combination of high-throughput genome-wide approaches to identify transcriptional and epigenetic changes that correlate with, and could contribute to aging and cancer.